Wishing the NEA community a happy, healthy and prosperous New Year! On 6-9 December 2016, the NEA and the French national radioactive waste management agency Andra held the fifth International Conference on Geological Repositories (ICGR) in Paris, France. The conference, on "Continued Engagement and Safe Implementation of Geological Repositories", convened senior­level decision­makers representing international and national bodies from countries that are in different stages of implementing deep geological repository programmes. Participants underlined the added value of international co­operation for the safe implementation of geological repository projects and concluded that deep geological repositories remain a viable and safe option for the management of radioactive waste. 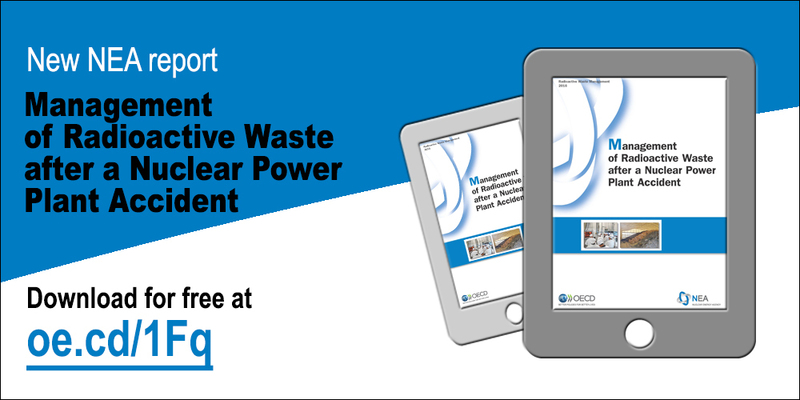 The scientific knowledge and technical bases relating to the disposal of radioactive waste are being enhanced and the technical design of repositories will be further optimised through current and future R&D programmes. Participants also noted that current strategies for repository implementation follow international standards, recommendations and best practices for nuclear safety and security. The important role of continued stakeholder dialogue in advancing a geological repository project was also highlighted. Conference proceedings are in preparation and will be issued online. The NEA will organise a workshop on nuclear fuel modelling to support safety and performance enhancement of water-cooled reactors on 7-9 March 2017 in Paris, France. The workshop aims to investigate what enhancements to or complementary assessment methods for fuel safety and performance could be offered by advanced fuel modelling including rod-scale, mesoscale and/or microscale modelling, within the next five to eight years. It will convene technical experts on nuclear fuel modelling, safety and fuel performance, representing a broad spectrum of stakeholders, including academic and R&D institutions, the industry, technical support organisations (TSOs), regulatory bodies and international organisations. For more information and to register, visit oe.cd/1Jr. The NEA is one of the founding organisations and a co­sponsor of the World Nuclear University (WNU) Summer Institute. The Summer Institute's 2017 session will take place between 27 June and 4 August 2017 in Uppsala, Sweden. The intensive six­week programme will include lectures and tutorials on topics relevant to the future of nuclear technology, including global environment and sustainable development, nuclear­related technology innovation, nuclear diplomacy and nuclear operations. For more information and to apply, visit world-nuclear-university.org. On 5-6 December 2016, the NEA Committee on Nuclear Regulatory Activities (CNRA) held its biannual meeting during which each CNRA and Multinational Design Evaluation Programme (MDEP) working group presented updates on their programme of work and ongoing activities. Among the decisions taken, the committee approved the proceedings of the 13th International Nuclear Regulatory Inspection Workshop held in April 2016 by the NEA Working Group on Inspection Practices (WGIP) in Bruges, Belgium, as well as the topics to be addressed at the 14th workshop which will be organised in Germany in 2018. Participants agreed for the WGIP to organise its next observed inspections in Finland and the United Kingdom, and to host a workshop with MDEP on digital instrumentation and control inspection. They also discussed the impact of increasing economic pressures on the decisions of operators and regulatory bodies, as well as on their relations. The NEA Committee on the Safety of Nuclear Installations (CSNI) held it biannual meeting on 7­8 December 2016. 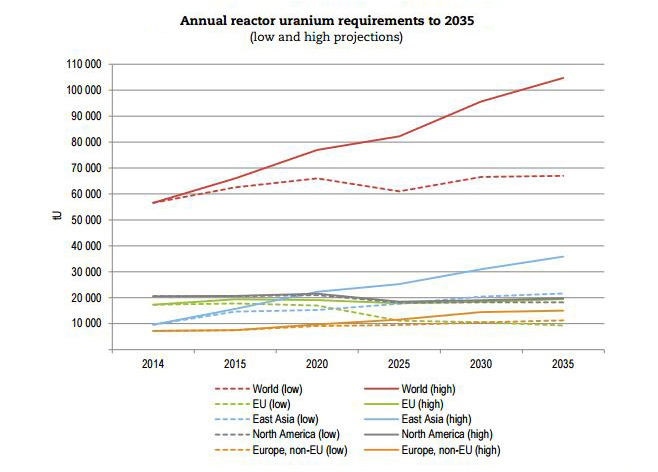 In the context of its programme of work, the committee approved new tasks and five reports, including a report that summarises the current options being pursued for storage and disposal of fuel in NEA member countries and the contribution of long-term interim storage facilities to the options being pursued. A particular highlight of the meeting was the discussion on joint research projects focusing on fires at nuclear power plants. The NEA High Energy Arcing Fault Events (HEAF) Project has completed its first phase of experimental tests and has demonstrated that arcing faults in cabinets with aluminium components were significantly more severe. A second phase for the project has been proposed to further investigate and quantify the phenomena. Regarding the NEA PRISME-2 Project, which provides valuable data for developing and validating fire behaviour computer codes, a third phase of testing using a fire code benchmark has been proposed to investigate fire and smoke propagation with complex sources. 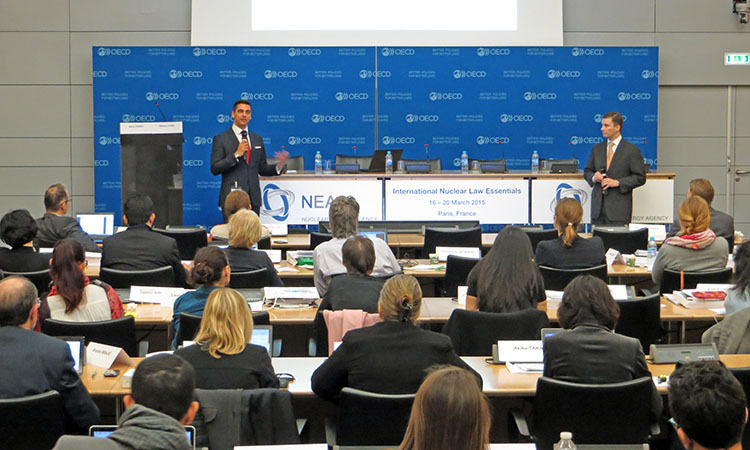 The five‑day NEA International Nuclear Law Essentials course aims to provide participants with a comprehensive understanding of the various interrelated legal issues relating to the safe, efficient and secure use of nuclear energy. This intensive course has been designed to accommodate the needs and interests of lawyers working in either the public or the private sectors but will also be of interest to scientists, engineers, policymakers, managers and other professionals working in the nuclear field. The next session of the INLE will take place on 20‑24 February 2017. For more information on the course and to apply, see oe.cd/IY. 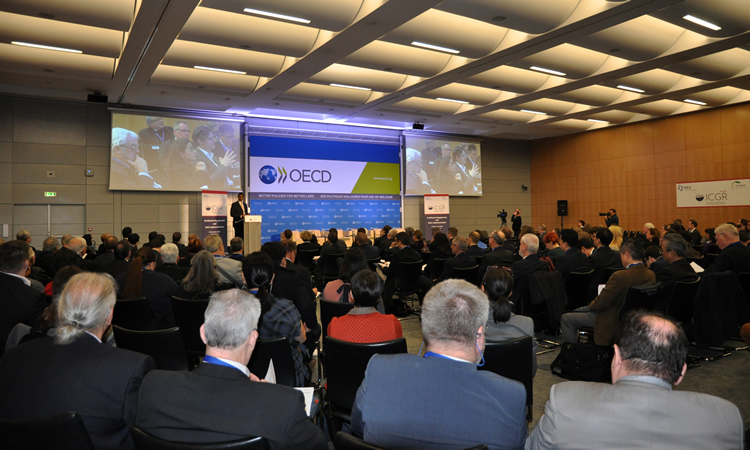 On 28 November-2 December 2016, the NEA Data Bank hosted its bi-annual Nuclear Data Week to promote co-operation among experimentalists, nuclear data evaluators and end users of nuclear data. Organised within the framework of the Joint Evaluated Fission and Fusion (JEFF) Nuclear Data Library activity, NEA Nuclear Data Week aims at fostering ties among various nuclear data expert communities in order to address the needs and challenges of nuclear systems more effectively. This session was attended by over 70 experts from 17 countries and international organisations representing the JEFF participants. During the five-day technical programme, delegates and experts reviewed recent progress in experimental programmes and ongoing evaluation work in both the fission and fusion fields. The JEFF Project is currently preparing the JEFF-3.3 library for release in 2017 to include a general update to the neutron, decay, fission yields and proton libraries. The week featured an additional meeting of the NEA Working Party on International Nuclear Data Evaluation Co‑operation (WPEC) "Subgroup 39" which is working to develop methodologies for feedback from nuclear and covariance data adjustment to improve nuclear data files. 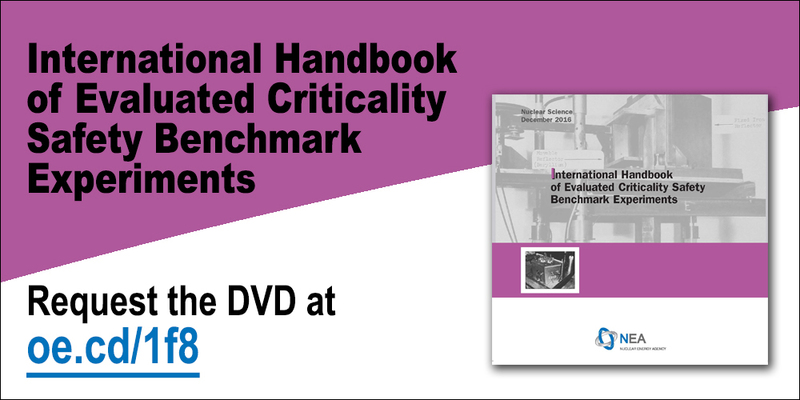 The subgroup’s recent efforts have focused on new adjustments in support of the new evaluations of the WPEC/Collaborative International Evaluated Library Organisation Pilot Project (CIELO).